Washing your own car gives a satisfying feeling like no other. It gives out that feeling, which assures you that you are indeed doing something right and meaningful. With that being said, no one becomes a car washing master in a single day. However, here are a few car wash tips for the beginners. Preparation is the first step you need to take in order to efficiently wash your car. The more prepared you are, the more easily and smoothly the whole activity is going to be. The basic tools and utilities you would need for a proper car wash are one or two car wash buckets. A decent car wash mitt pad, and a dry microfiber cloth to wipe it all off. These are basic preparations you have to take in order to make your car washing experience an effective and efficient one. After the preparation is done, the actual car washing begins. Generally it is seen as best practise to start off washing process from the wheels. The wheels take the most amount of time to get through. For the body, you should use and follow the ‘two bucket system’ whereby two simultaneous buckets are kept. One bucket will have clean water and the other will have soapy water. By using the two buckets together, a significant amount of time is cut down from the entire washing process, and the risk of scratching and water spotting goes to null. After you are done with washing your car, do not leave the car fully unprotected that might outdo all the hard work you have put on. It is recommended to put on a layer of sealant or wax for an extra layer of protection. If you find the whole process of self-serving car wash tiresome, you might want to consider going for an automated option. By following these simple steps along with timely maintenance you can keep your car healthy and running. 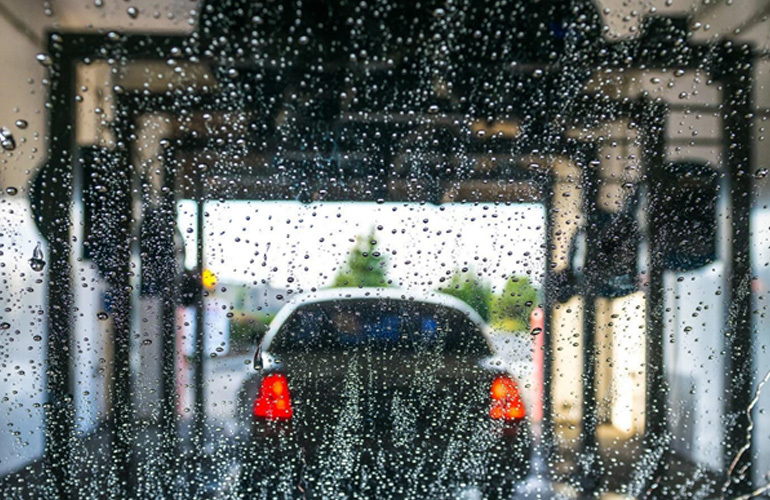 For more tips on how to properly wash your car, visit Oasis Carwash, the best environmentally friendly car wash in Logan City.